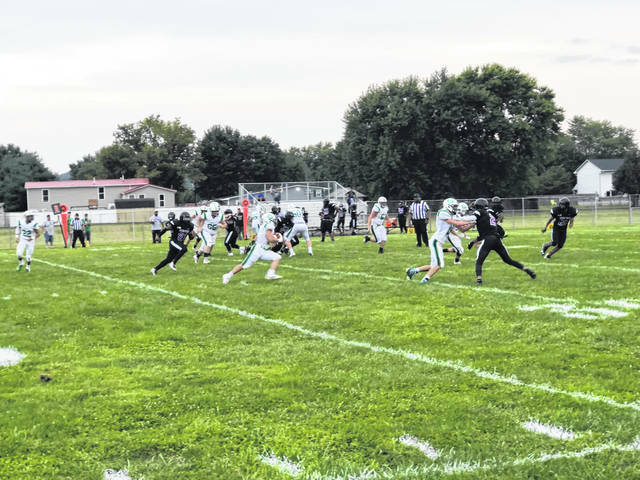 The Green Bobcats won their season and home opener against Dohn Community, 54-14. The Green Bobcats finished their opening game Friday feeling good with the work they had put in over the offseason, after ending the night with a 40-point victory. “We didn’t know what to expect from these guys” said Coach Newsome when speaking of their opponent, Dohn Community of Cincinnati. Green ended the game with a 54-14 victory, doing so without throwing or punting one time, although the run game was alive and well for the Bobcats with 378 total yards on the ground as a team. The game was in the Bobcats favor from the beginning with two Panther fumbles on the first drive leading to a turnover on downs on their own six yard line. The first play for the Bobcats offense would be a score by Lonnie Smith running it in from six yards. The following Bobcat drive would show more dominance, with a few more rushes leading up to a six-yard touchdown rush by Mason Kingery. The two-point conversion was good by Lonnie Smith to push the lead to 16-0. That score wouldn’t stay for long after a Panther pass went for a 72-yard touchdown to make the score 16-8 after the two-point attempt was converted. In the second quarter, the Green rushing attack would continue where it left off by capping off a four-play drive ending in a 29-yard rushing touchdown by Mason Kingery, making the score 24-8 after the successful two-point conversion. That would only be the beginning for Kingery on the ground, coming right back with a 61-yard rush on the first play of the drive to give Green a solid 32-8 lead late in the second quarter. The Green rushing attack couldn’t be stopped before the half would end, seeing Alec Smith running in a 52-yard touchdown on only third play of the drive. The two-point conversion was unsuccessful, but Coach Newsome and his team still had a 38-8 lead heading into the second half with a running clock. “At halftime I looked to our offensive lineman and told them to take over”, said Newsome. That message didn’t go unheard as the first play of the second half showcased more of the run game with a 40-yard run by Lonnie Smith. The rushing touchdowns continued to pour in. Six plays later, Mackie Kingery ran in a 13-yard touchdown on 4th and 9. After a rush for the two-point conversion, the Bobcat lead would rise to 46-8, giving Green more and more confidence with each score. With the running clock and a 38-point lead, the Bobcats focused on running the clock out and ending the game. A series of short runs led to a final Green score by Rickie Nash, who would also deliver the two-point conversion, making the score 54-8. 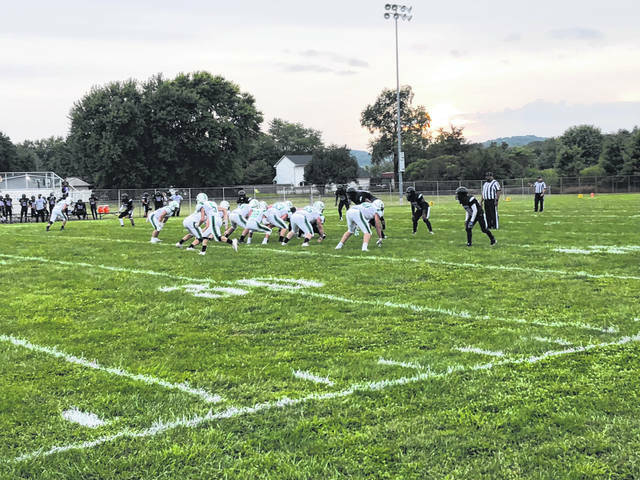 The Panthers fired back for the first time since the first quarter, but were unsuccessful on the two-point conversion, making the final score in Franklin Furnace 54-14. There were impressive stats out of the backfield for the Green offense. Mackie Kingery lead the charge with 116 yards and four touchdowns. Alec Smith contributed to 114 of the 378 yards with three big runs of over 20 yards. Also contributing, Lonnie Smith with a touchdown and 102 yards, and Rickie Nash with two touchdowns and 46 yards on a series of short carries.